HEBEI DA SHANG WIRE MESH PRODUCTS CO.,LTD. 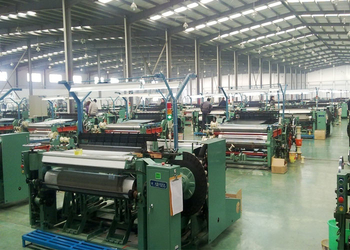 ( DS ) established in Anping County, Hebei Province, has become one of the important valuable wire mesh cloth manufactures. As an innovative solutions partner, DS has been producing high-quality and cost-effective industrial metal wire mesh products for our customers for many years. DS's main products are stainless steel wire mesh, brass wire mesh, copper wire mesh, nicker wire mesh, low carbon wire mesh, epoxy coated wire mesh and all kinds of discs and slits of mesh.All products are produced under ISO9001 standard and meet special requisitos of customers, they are widely applied for different industries including chemicals, pharmaceuticals, petoichemical, liquid filtration, new energy power and food industry etc. DS devotes to meet customers' individual and potential demand and provides customer with high-standard, high-precision, stable quality, environmentl and safety wire mesh products. As well, DS helps our customers improve the core competition in the market by the supply system and good service. We're here to serve you. Call us at +86 318 7563319 or write us at info@tela-metalica.com. 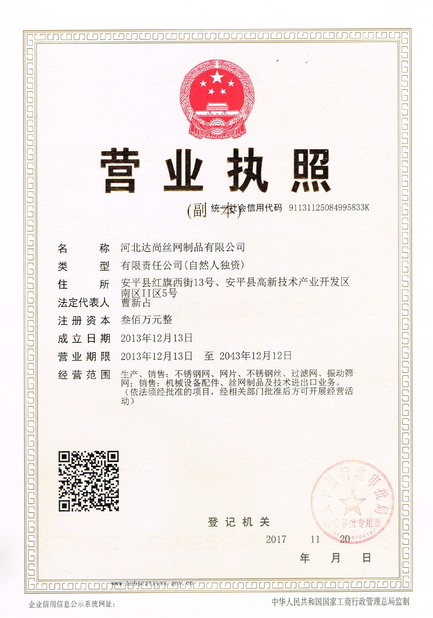 Originally DS is a manufacturer to produce stainless steel wire. In 2008 began to weave wire meshes and international business. Actually DS has one factory to produce stainless steel wire and two factores to produce wire meshes. And DS's wire meshes have been covering countries like USA, Russia, Mexico, Columbia, Peru, Chile, Brazil and so no. DS offers wire mesh range from 1 mesh to 635 mesh with square mesh and highest dutch weave 2600 mesh. The mesh is produced in all apertures from 5 microns to 25 mm, with wire diameters from microns to 5mm. Our main products are stainless steel wire mesh, brass and copper wire mesh, nickel wire mesh, epoxy wire mesh, low carbon wire mesh and all kinds of discs and simple filters. All products are widely applied for petrochemivsl, aeronautics, liquid filtration, automovie, new enery power, pharmacy and food industry. DS devotes to meet customers' individual and potential demand and provides customer with high-precision, stable quality, environmental and safety wire mesh products. As well, DS always pays attention to reduce the cost of production, integrate the supply system and share the logistic information to improve the core competition in the market of custome. We not only sell wire mesh products, also offer the best service to solve any problem of industrial filtration and separation for customers. DS has a complete team to serve their customers. 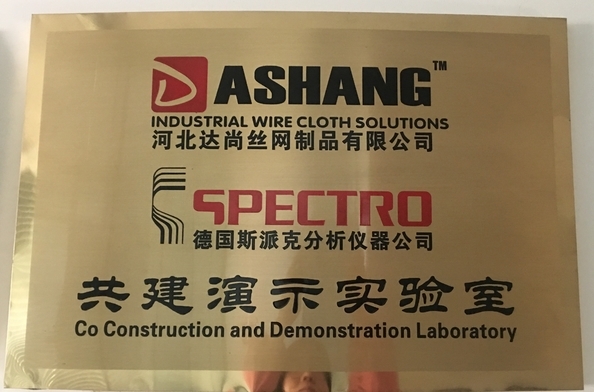 Before confirm the detail of the product, we have specialized technicians to help analyze the data to find the most suitable Mesh No., wire diameter and the more exact filtration. Once confirm the order, we have professional groups to follow up, the Purchasing Department is responsible for reviewing and find the material wire, the Production Department prepares to design and monitor the production process, the Quality Testing Department is responsible for review each rollo wire mesh according to standard ISO9044, the Delivey Department is to make packages and load containers. All departments work together as a group to serve our customers.